Unless you're moving into a newly built home, there may come a time that you want (or need) to replace your existing windows with new ones. It could be because of a broken window, where you will need to have the same type of window that's already installed throughout your home installed. Or you may just want to add an additional room that requires new windows that you can have installed that are not a part of your current window scheme. If you are in need of a new window there are a lot of choices to choose from based on the design and structure of your new room or home, or based on other factors, such as how much lighting is needed for the room or energy efficiency issues. Whatever you decide, windows installation Steinbach can assist you make the best decision for your home and window installation needs. Some window choices that you can consider appear below. 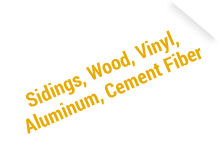 Windows Installation Steinbach offers a wide selection of windows to choose from. Below are just a few of the types of windows that are offered. 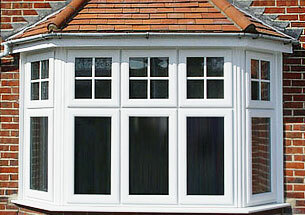 Bay windows are large windows that are immobile with casement windows on both sides. They provide a great design for any room or house and enhances it beauty as well. If ventilation is not an issue, then low profile fixed windows are a great choice. These windows are ideal for letting the most maximum light possible. 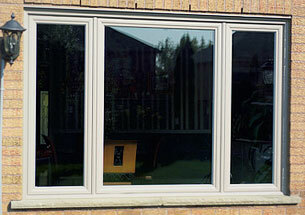 Low profile fixed windows are also immobile windows and work well when used with awning windows. Casement windows provide an unobstructed view for those who enjoy gazing outdoors. This is mainly due to the positioning of the handle (that is used for opening and closing the window.) 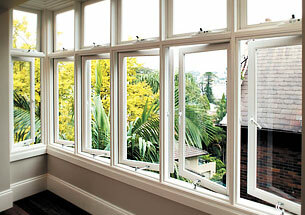 The best thing about casement windows is that they can be opened either to the left or to right. New windows can serve three primary purposes, they can beautify and change the overall look of your home, they can help your home become more energy efficient and they can make your home more secure. If you need to have new windows installed, windows installation Steinbach can come out and provide an estimate based on the type of work you need performed. They can also provide price guides and take measurements. They are fast and efficient as well as friendly and professional. You will know that you are receiving the best job possible, because they have provided top, high-quality architectural services for 25 years. They do quality work and are based in Manitoba's cultural hub, where they perform quality general contracting work - specializing in all types of residential projects.